North Country | Love Those "Hands at Home"
Talk about your manly hands at home! A regular guy was looking for a way to provide vacation relaxation for his family and he created a chair that has become a style icon! That chair, made of wide planks of wood, became known as the Westport chair, which is generally believed to be the precursor of locally-ubiquitous Adirondack chair. The Adirondack chair is an icon of a place, as associated with my home region as wrought iron is associated with New Orleans or the saltbox house is with New England. The elements that define the chair are a sharply-raked seat, a high back, and wide and flat arms. While the Westport chair was made of wide planks of wood, often hemlock, the Adirondack chair is made of slats, perhaps because those wide planks were harder to come by. The slatted Adirondack-style has been around at least since the 1930s, when some of the style variations were patented. 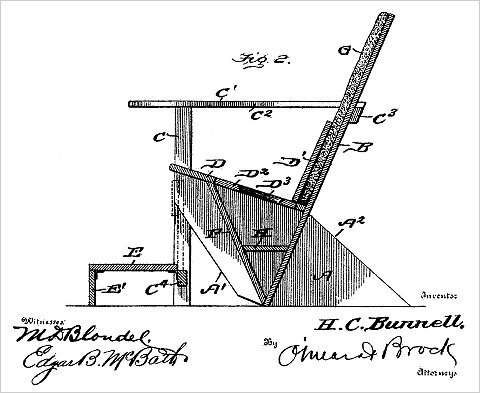 The unusual raked seat of the chairs is said to be specifically designed for use on steep hills, so the chair would be stable and sitter would be comfortable looking down the mountain or hill toward the view. The wide arms were perfect for those vacation necessities–a cold drink and a book. The traditional colors were the hues of the outdoorsy setting—medium reddish-brown and dark green, though some chairs were left unpainted to weather attractively to grayish-brown. In my experience, the chairs are only okay for sitting in—they are kind of hard and those slats are not easy on one’s posterior. The raked seat makes it hard to get out of the chair, especially when it’s set on flat ground. As regular visitors know, I like Adirondack chairs best as photo props, to serve as a focal point and evoke the “summer in the North Country” vibe I hold so dear. 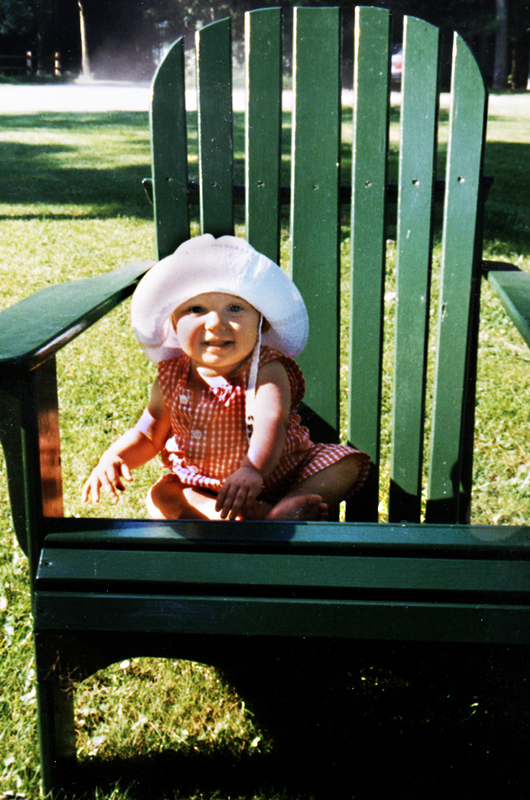 In fact, when my sister decided she wanted a photo series of her daughter at “camp,” one photo a year for the first 18 years, an Adirondack chair became the item that always appeared with the child. 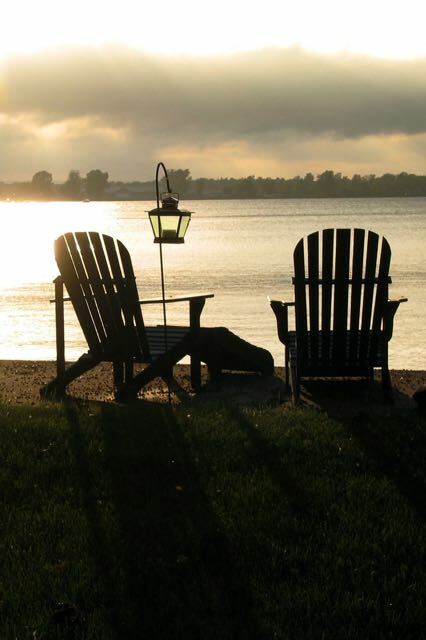 The Adirondack chair has moved beyond the Adirondacks and can be found in summer homes, lodges, and outdoorsy settings all across the United States. Has this style come to your part of the world? Now, as we all know, standing up while viewing a summer sunset is nice, but watching that sunset while comfortably seated with a cocktail at hand is always nicer. Yes, you, with your signs of spring. With your hellebores and your hyacinths and all that green and gold, and those cherry blossoms. And those lambs! Well, we have signs of spring, too, you know. We have dirty snow and lots of leftover sand on the roads, left by road crews to get us through the winter. We have the teensiest of buds on a few shrubs. We’ve had four snow-free days in a row! But we also have ice that’s finally melting on the bay. We have moving water for the first time in months! 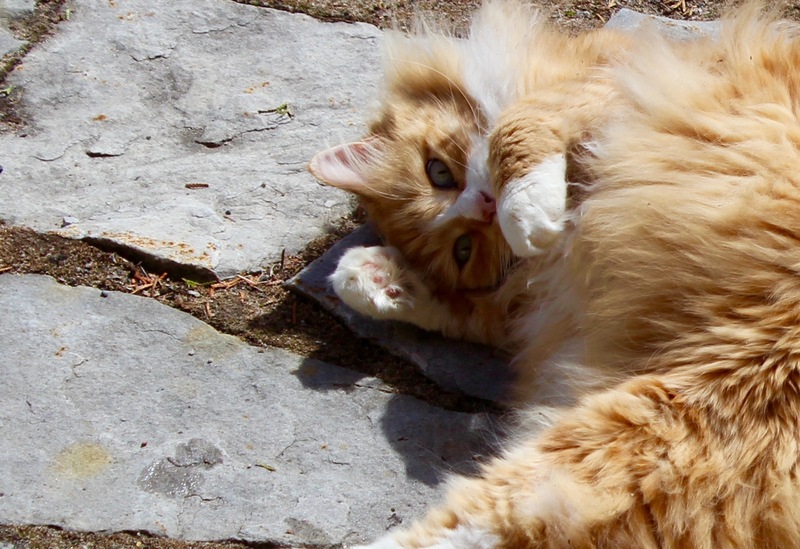 We have cats, luxuriating on warm flagstones, feeling frisky, spring in their blood. 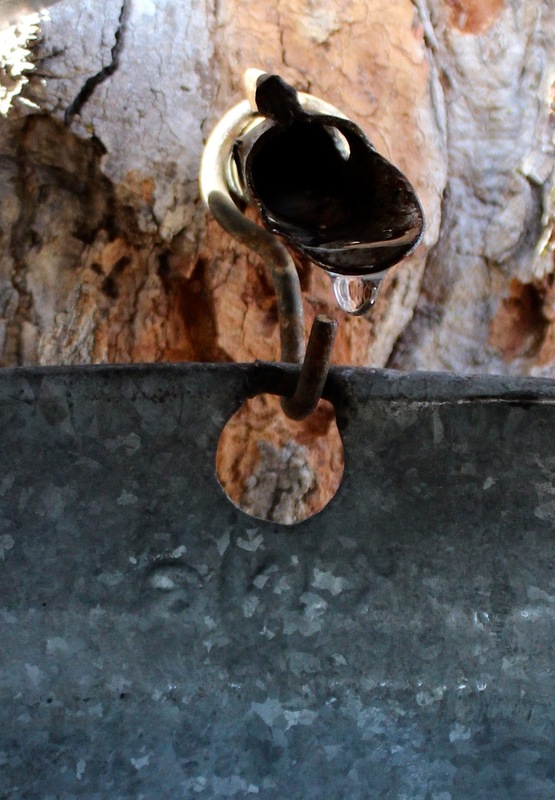 We have maple sap dripping into metal buckets, all along the roadsides. Looking down the barrel of the spile, at a little drop of sap! And we have the annual pancake breakfast, with family and neighbors, shucking off wool jackets, slathering on the maple syrup, and lingering in the bright sunshine of a perfect spring day. Time to flip the flapjacks! Finally . . . spring. Always worth the wait. It’s early spring in the North Country of upstate New York and one thing says spring here, more than mercurial temperature swings and dirty, muddy snow. One thing says spring even more than news of ice fishermen having to be rescued from the melting lake. Maple. Maple anything and maple everything—that says spring. In my continuing yearly celebration of all things maple, I offer to you possibly the best recipe for scones you’ll ever try. It’s also probably the least healthy recipe for scones you’ll ever see but, really, how many scones could you eat in a day? Really, that many? Me, too! My recipe comes directly from The New Best Recipe, by the editors of Cook’s Illustrated magazine. This cookbook is a compendium of recipes for popular foods, the kinds of foods for which everyone has a recipe and none of the recipes are the same. When there are 1000 recipes for chocolate chip cookies, for instance, how do we know which one to use? I turn to Cook’s Illustrated. The editors comprehensively test these multiple approaches to a given recipe and seek to provide the definitive recipe for such items as pasta with bolognese sauce and macaroni salad and, yes, chocolate chip cookies. I love this cookbook because, in a very systematic way, it identifies what the cooks were aiming for and then provides details of the different tweaks they made to achieve their goals. This all just really makes my cake bake, literally and figuratively! 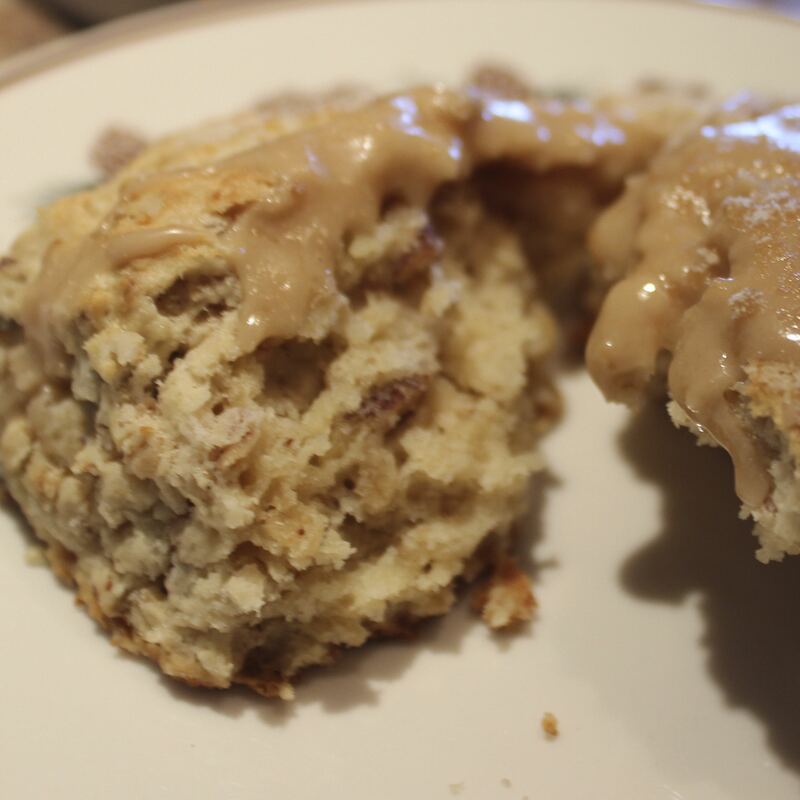 The Cook’s Illustrated goal for oatmeal scones was “to pack the chewy nuttiness of oats into a moist and tender breakfast pastry, one that wouldn’t require a firehose to wash down the crumbs” (714). They provide variations for cinnamon raisin oatmeal scones and oatmeal scones with dried cherries and hazelnuts but . . .
It’s spring in the North Country of upstate New York and we’re talking maple here! 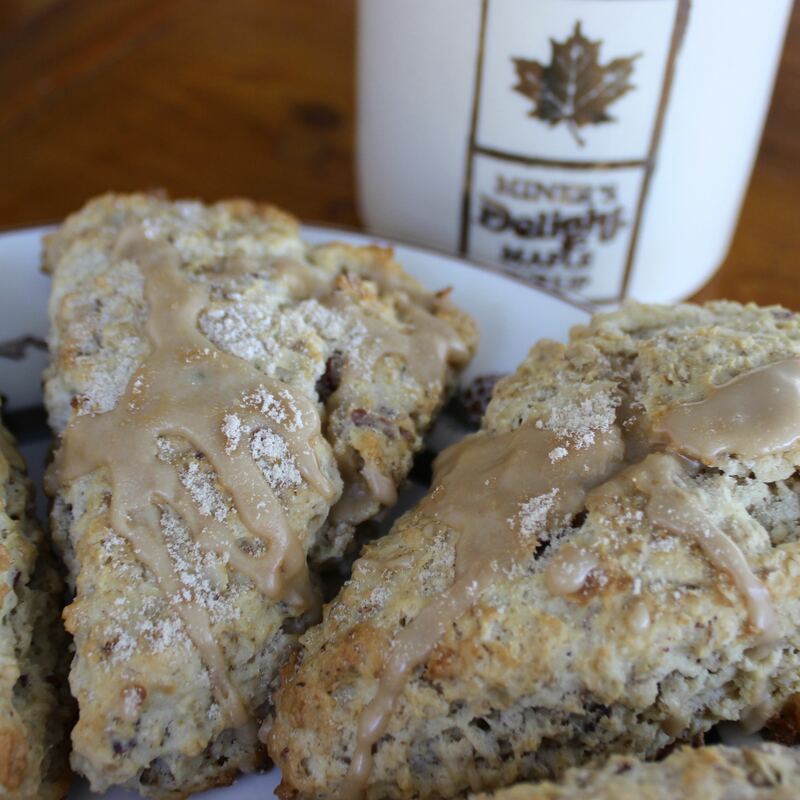 These scones are tender and amazing, and so very maple. Adjust oven rack to middle position; heat oven to 375 degrees and line two baking sheets with parchment paper. Spread oats and pecans evenly on one baking sheet and toast in oven until fragrant and lightly browned, 7 to 9 minutes; cool on wire rack. Increase oven temperature to 450 degrees. When oats are cooled, measure out and reserve 2 tablespoons for dusting the work surface. Whisk milk, cream, 1/4 cup maple syrup, and egg in medium bowl until incorporated; remove and reserve 1 tablespoon to small bowl to brush scones. Pulse flour, baking powder, and salt in food processor until combined, about four 1-second pulses. Scatter cold butter evenly over dry ingredients and pulse until mixture resembles coarse cornmeal, twelve to fourteen 1-second pulses. Transfer mixture to medium bowl and stir in cooled oats. Using rubber spatula, fold in liquid ingredients until large clumps form. Continue mixing by hand until a mass forms. Dust work surface with half of reserved oats and flour (if needed), turn dough out onto work surface, and dust top with remaining oats. Gently pat into 7-inch circle about 1 inch thick. Cut dough into 8 wedges and set on parchment-lined baking sheet, about 2 inches apart. Brush surfaces with reserved egg mixture and sprinkle with 1 tablespoon sugar. Bake until golden brown, 12 to 14 minutes; cool scones on baking sheet on wire rack 5 minutes, then remove scones to cooling rack and cool to room temperature, about 30 minutes. When scones are cooled, whisk maple syrup and confectioner’s sugar until combined; drizzle glaze over scones. Has your blog developed the way you thought it would? When I started writing, I intended the emphasis to be on “loving hands” but, now, almost 18 months later, I’m amazed at how often I focus on the “at home” part of my title. By sharing some information and impressions with you, I’ve realized that I have more affection for my home region than I ever knew! People hear “New York” and they think “Big Apple,” Empire State Building, Broadway. My New York, the “North Country,” couldn’t be more different. My home is in upstate New York, about 60 miles south of Montreal, Quebec, and 45 miles east of Lake Placid, where the 1932 and 1980 Winter Olympic Games were held. 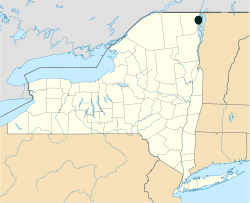 The nearby town is Plattsburgh, represented by the back dot in the map. I have to drive due south for over 5 hours to get to New York City, which is at the bottom right here! 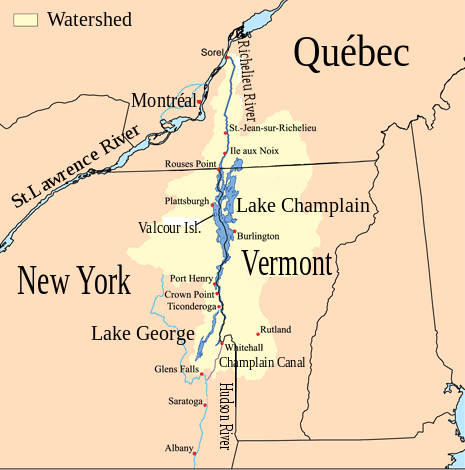 I live on a lake that forms the boundary between upstate New York and Vermont; Lake Champlain is 120 miles long and runs north into the Richilieu River and the St. Lawrence. The lake is in a valley between the mellow, old Adirondack Mountains of New York and the Green Mountains of Vermont, which are part of the Appalachian Chain. Our combination of water and mountains, rural farmlands and small towns, makes this part of New York feel much more like New England than like the New York that pops into most minds. This is a land of sugar maples, oaks, birches, and pine trees, which give us our fall colors, the fragrant litter of pine needles in the sun, and the “tock, tock” of acorns on the roof. Similarly, one can never forget the Native American inhabitants, the Ganienkeh, the Awkwesasne, the Abenaki. Words from their languages name mountains, rivers, and towns. Even “Adirondack” is supposedly a Mohawk word used to insult the Algonquins. The word translates as “bark eater” or “eater of trees,” and was an insult to suggest the Algonquins were not very good hunters! The history of European settlement of this region is very old, by American standards. Samuel de Champlain reached the Champlain Valley in 1609. The region was under French rule, then British rule, and then played a role in the outcome of the Revolutionary War. My people came here in the late 1700s and carved a farm from the rocky soil on a big hill overlooking the lake. They fought in the American Revolution and watched from the hill as the Battle of Plattsburgh, in the War of 1812, unfolded in the valley below. 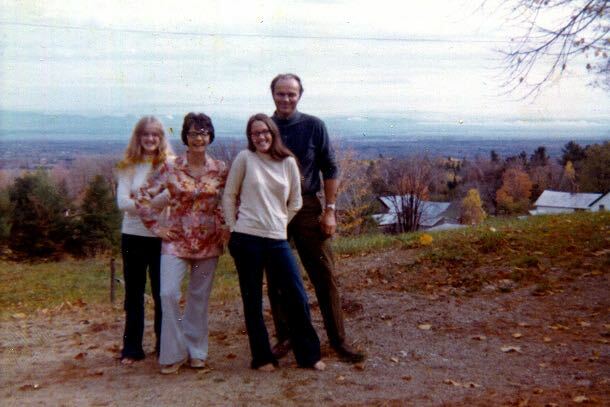 The photo at the top of the post shows my family, when we were still living on the farm, with that valley and Lake Champlain behind us. War and national defense have always figured prominently here. When I was a kid, Plattsburgh was home to a Strategic Air Command base of the US Air Force. Fighter bombers and huge cargo planes were so commonly above our heads that we simply no longer heard the infernal noise they made. I moved away from this area when I was in my early 20s, to go to grad school and to teach college elsewhere. And now “camp” is home. It was odd to come back here full time, after so many years. I’m forever meeting people who worked with my father or had my mother as a teacher in first grade. My favorite story came from a woman who lives down the road. When she heard my name, she told me that her father and my grandfather shared tractor tires during the Great Depression. Tires were expensive! So, even though the farms were about 12 miles apart, they alternated the tires between the two tractors and made do. I’m honestly not sure how much of this I would ever have pondered, if I wasn’t writing to you. Writing about where I live, telling you about it, makes me appreciate it more. What makes your home special? Have you written about it? Can you leave me a link to your post?